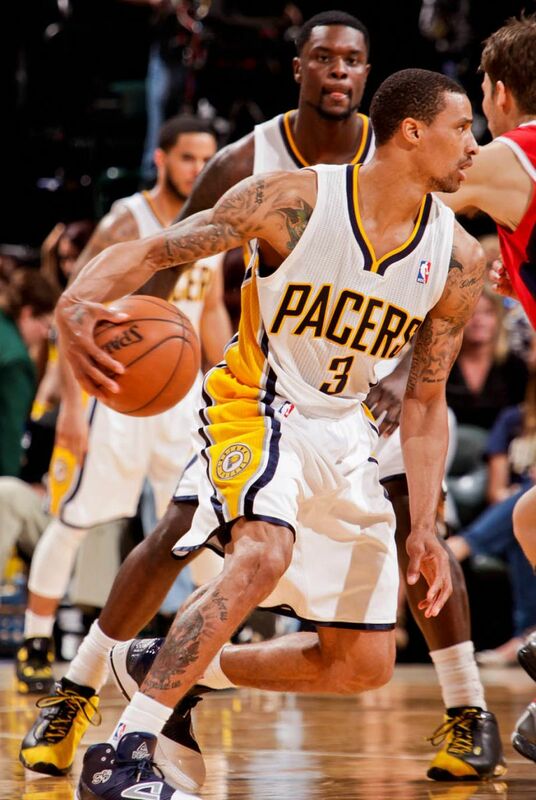 Lance Stephenson of the Indiana Pacers laces up a PE colorway of the AND1 Tai Chi. 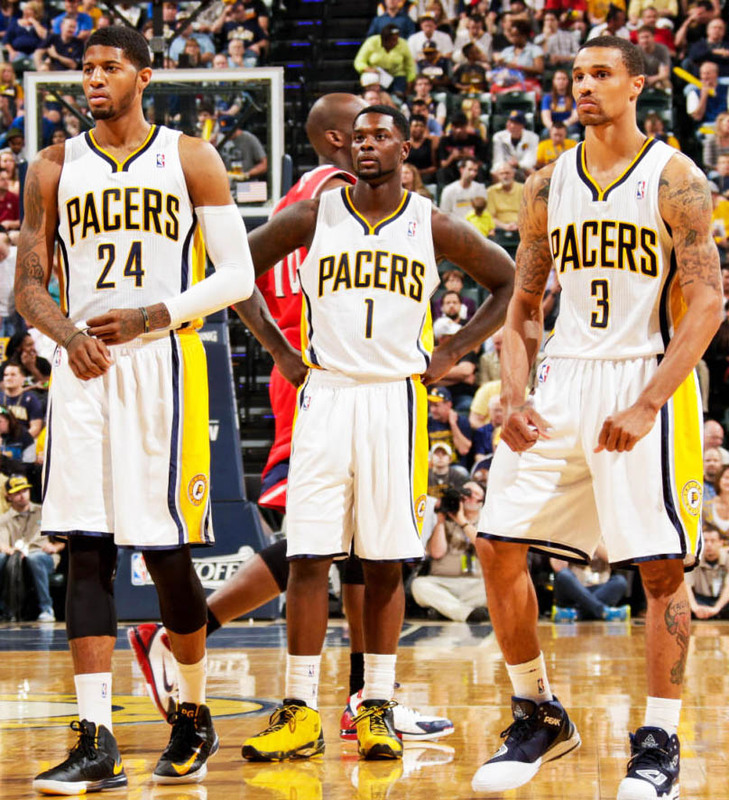 As AND1's lone representative on the NBA court, Indiana Pacers guard Lance Stephenson has been treated to a PE colorway of the classic Tai Chi for his team's postseason run. 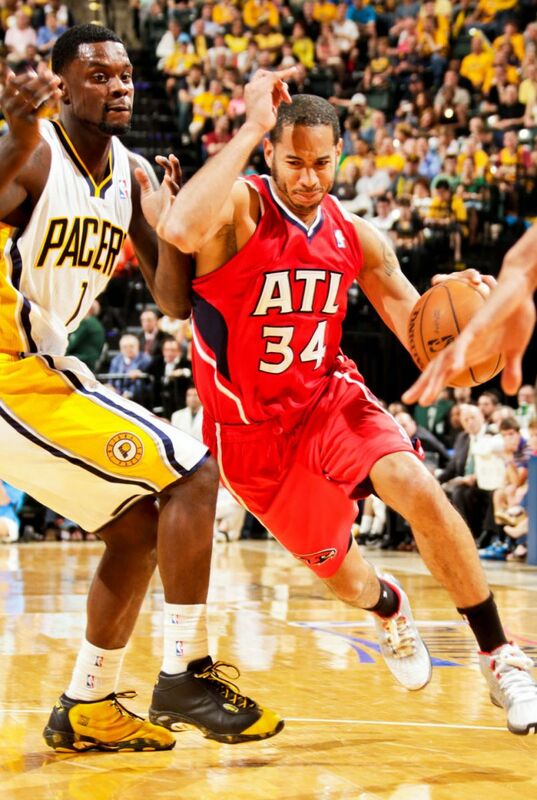 In last night's Game 5 playoff win for the Pacers against the Atlanta Hawks, Lance laced up his very own black and gold version of the Tai Chi's iconic Yin and Yang-inspired design, complete with a speckled midsole. Lance only wore his new Tai Chi for the first half after opting for the Empire 2.0 for the second half, but it was definitely nice to see the iconic AND1 sneaker from 2000 back on the NBA court. AND1 hints that the Tai Chi may be on its way back to retail. Who is ready and waiting for its return?